Carol R. Bennett, age 75, of 37 Crestmont Circle, Bloomsburg, died at 3:05 a. m. Tuesday, Sept. 25, 2018 at the Bloomsburg care and Rehabilitation Center in Bloomsburg where she was a guest for 37 days. Born at the Bloomsburg Hospital on June 22, 1943, she was the only child of the late Eugene H. and Phyllis (Snyder) Cromley. 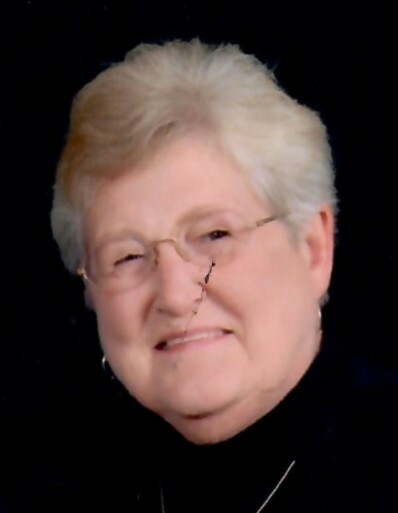 She spent most of her life in the Bloomsburg area and was a 1961 graduate of the Bloomsburg High School. Carol was an active member of Wesley United Methodist Church, when her health permitted. She participated in the quilting group and the United Methodist Women. She also was a member of the Christian Women’s Club. Carol loved to travel and she and her husband traveled through much of the United States and all of the Canadian provinces. Her best friend was her pet dog, Chloe. She and her husband, Fred J. Bennett, Jr., celebrated 55 years of marriage on October 20, 2017. Also surviving are three children: Jill M., wife of Daniel English, Mountain Top; Erin L., wife of Gordon Hartmann, Atlanta, Ga.; Fred J. Bennett, III, and his wife Melissa, Bloomsburg; six grandchildren and three great-grandchildren. She was the last of her immediate family. Funeral services will be held on Friday at 2 p. m. in the Dean W. Kriner, Inc., Funeral Home & Cremation Service, 325 Market Street, Bloomsburg, with her pastor, Rev. Mark F. Reisinger officiating. Viewing will be from 1-2 p. m. Please omit flowers. Memorial contributions may be sent to the PA SPCA, 2801 Bloom Road, Danville, Pa 17821.